I always thought making a crème brulee was such a big task since I didn't have the fancy schmancy blow torch and such. 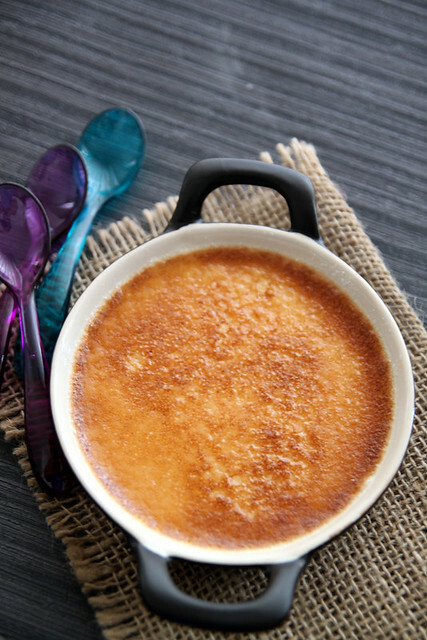 So I'd given up even thinking about them until a while back we were at a French restaurant and I had the most yummiest and creamiest of crème brulee's. It was so good I decided to tackle the task as soon as possible. Just like a million other 'plans' of mine, this too was forgotten and life went on. But the food gods had other plans. 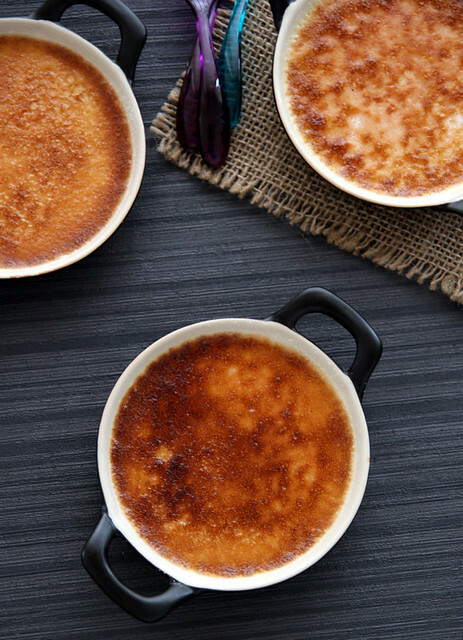 I was again put forth with the option of trying a crème brulee at yet another French restaurant and this time, although it was not as fabulous as the first experience, it pushed me well enough to make it at home. And so I did- the research and the recipe search and how to go about doing the caramel topping without a blow torch etc. 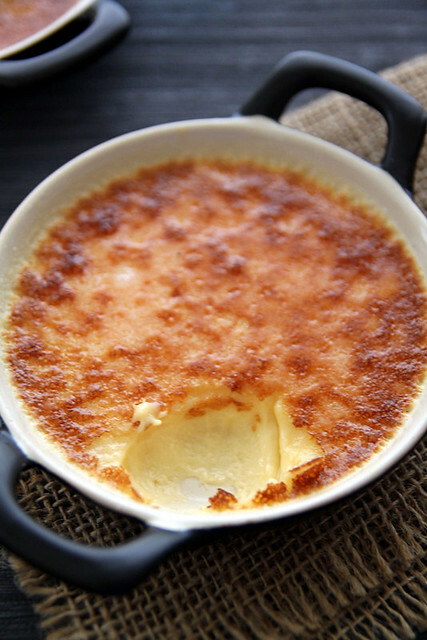 Now to make things clear, the crème brulee (which means burnt cream) is a tad different from caramel pudding/ custard. The procedures are different, obviously, but other than that the textures are completely different. 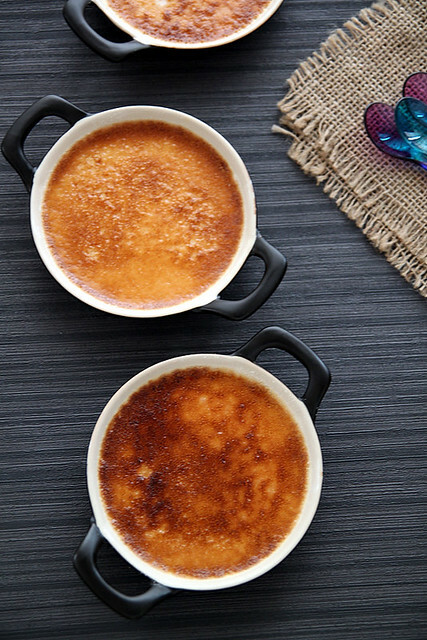 While the caramel custard is more jello/wobbly-like, the brulee is rich and dense and much, much creamier. I also think the brulee is much easier to make as opposed to caramel custard where you have to first make the caramel (watch it like a hawk), swirl it around in a bowl blah blah, whereas here, the grill does the job for you, and probably an even BETTER job. Pour the cream into a saucepan and bring to a boil. Reduce heat and simmer for about 5 minutes, stirring continuously so that it doesn't form a film on top. While that's happening, pre heat the oven to 150C, separate the eggs and whisk the egg yolks with caster sugar till light and fluffy. I just used a wire whisk for this. Its pretty easy to work with. Increase the heat a bit and bring the cream to a boil. Then take it off the flame and stir in the vanilla extract. Immediately pour it over the egg mixture, bit by bit, whisking well continuously. Keep whisking continuously till the mixture becomes a bit thick. This happens because the eggs have begun to cook slightly. Gently tap each dish on the work surface to remove all the air bubbles and place them into a large roasting pan. Fill the roasting pan with hot water, making sure it comes up at least half way up the sides (bain-marie its called) and gently place on the middle shelf of the oven. Bake for 20 to 25 minutes or until they are just about set. Its OK if it is a bit wobbly in the middle and looks a bit under done, as it will set in the refrigerator. Remove dishes from the water bath and cool on wire racks. Chill in the refrigerator till you are ready to use. About half an hour before serving time, take the dishes out of the refrigerator and sprinkle caster sugar on top, as evenly as possible. Twirl it around to distribute them evenly. Place the oven rack right on top and pre-heat the grill/ broiler for about 7 minutes. Once the time is up, place the dishes (one at a time) under the grill for 2 minutes (approx.). Watch it carefully, it doesn't take long to mess up. Repeat the procedure with the remaining dishes and once the caramel has hardened, chill in the refrigerator for a further 20-30 minutes and then serve. Notes: The flavour options here are endless. Infuse the cream with cardamom pods, orange zest, lavender, coffee etc while the cream is boiling and then strain it before segregating them. The first time, I made double the quantity and made them in proper ramekins. What I noticed was that the cream was a tad too much whereas the caramel topping was not enough to balance the creaminess. That's why i used a shallow dish this time. If using ramekins, don't fill right to the top, instead fill only 2/3rds. I baked the crème brulee the night before and grilled it just before serving. I had one leftover and so I stored it in the refrigerator for a day and the caramel topping became soggy. Not a great idea, so grill it only if you are going to use it in the next half hour or so. A friend mentioned that when she put the ramekins under the grill, the custard started cooking further, which is not a good sign. Its because the grill is not hot enough to caramelise the sugar fast. Its for that reason that I preheat the grill and first try with one ramekin to check if temperatures are right (if you notice the pics, one of the dishes have a lighter brown colour and you can even see traces of caster sugar). If you feel that the rack is not really close to the grill, place an inverted baking dish on the rack and the ramekin on top of that. Be extremely careful while removing the dishes. Also turn it around if you see only one side browning. It looks perfect and what cute bowls. Where did you get them from? Wow this looks awesome...Loved the clicks...Nice detailed explanation..
Creme burlee looks so delicious and tempting. Wonderfully prepared. absolutely loved ur cream brulee and the pics...very well done !!! I am happy to learn that one of my favorite desserts can be done in my own kitchen too, even without the fancy gadgets. I can make it with just the usual kitchen cast...I am so excited to try this out. Thanks for posting this recipe! I saw this in Master chef .U have done it so well. wow Nisha they are so beautifully baked perfect! If its not too much to ask, can you please go through the rules of my event > Jingle All The Way and link your post there? Would love to have your post on my space. Thanks! Looks yummy an beautiful... and the options you gave sounds exciting... never even thought like that..
never cried creme brulee before but it looks like I can give this dessert a try.Thanks for sharing. Cant take my eyes from ur beautiful dessert, would love to have rite now..seriously irresistible..
Love your ramekins, so cute! I've tried crèmes brûlée a couple of times at parties and I have to say I didn't like it as much as I caramel custard. Yours sure looks creamy and tempting -- maybe I should try this. 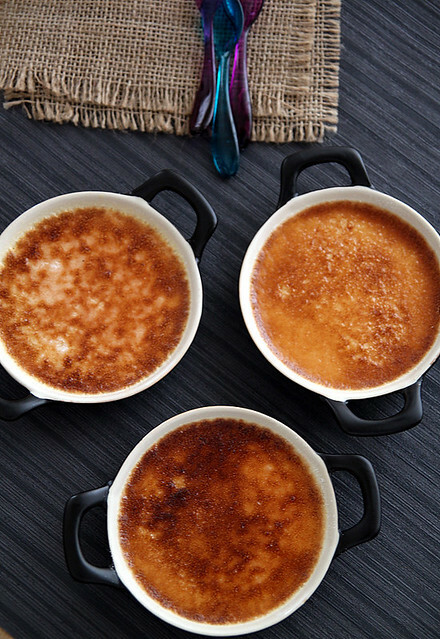 I've always been intimidated to try making creme brulee, but after seeing this post, I have to try! I would love to try this out for our a pre-holiday feast. 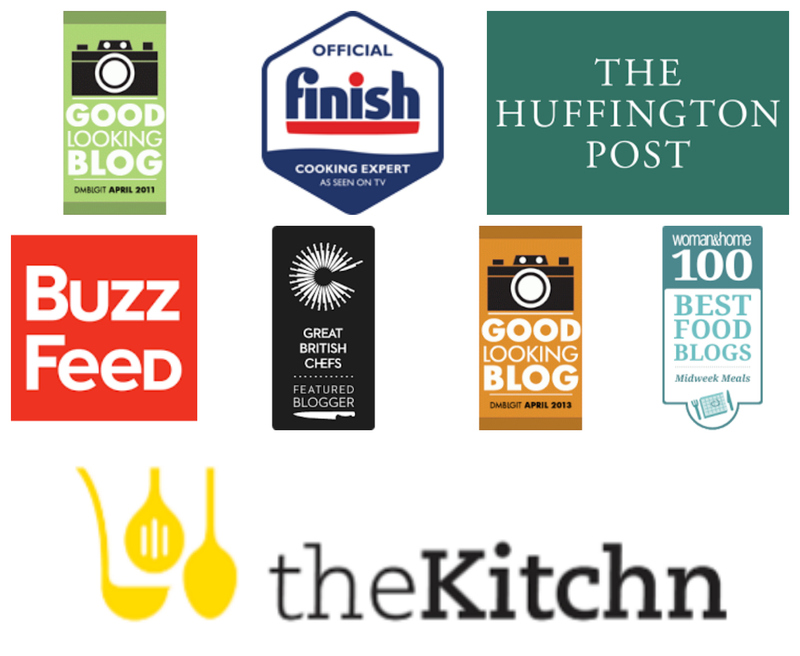 I love collecting recipes for my family and me to make! Thank you for sharing this with me and brightening my evening! oh my... i can almost hear the crackle when the spoon breaks the caramel! beautiful recipe..
it looks so delicious and perfect,,,yumm!! blow torch...am not gonna buy in the near future. 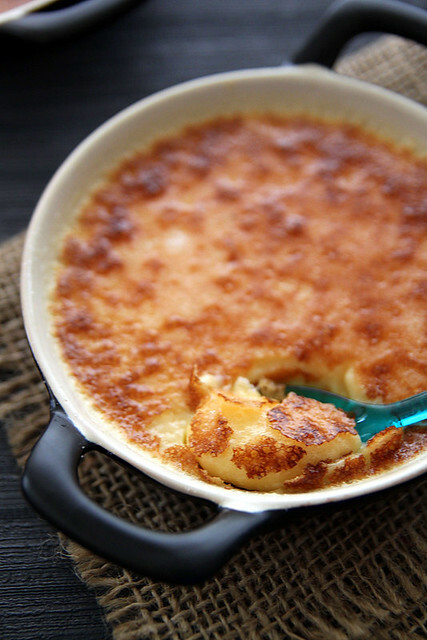 and if there can be a creme brulee without that, then your recipe is mine! i love these pics. and i need to try these....the caramel being the tricky part as you say! by the way i scrolled down and saw the honey cake too. didn read the recipe but loved the pic...great mood! I have to admit, I have used my husband blow torch. I always have a sense of accomplishment after I've used that torch to brown/crisp/burn something. This does look fabulous!